“Nanny, Everybody knows you drink chocolate milk with a spoon! And with concentrated effort he continued to slurp the chocolate milk into his mouth! 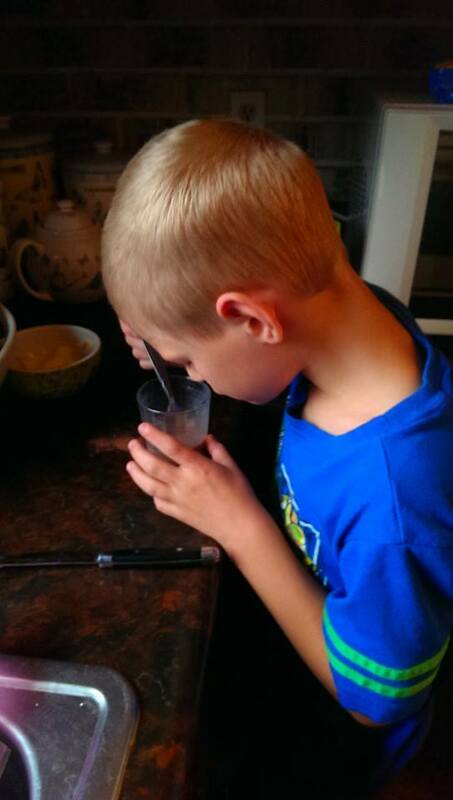 This entry was posted in Ayden & Nadia, Humor and tagged chocolate milk delight, morning humor. Go Ayden. Chocolate is the necessity of life. Yes, Andy! Boys have a whole different take on life than little girls! I have three daughters..though I did grow up with six brothers! However, they were older, except for one, and so my four sisters surrounded me!